The RPG Kickstarters continue on. 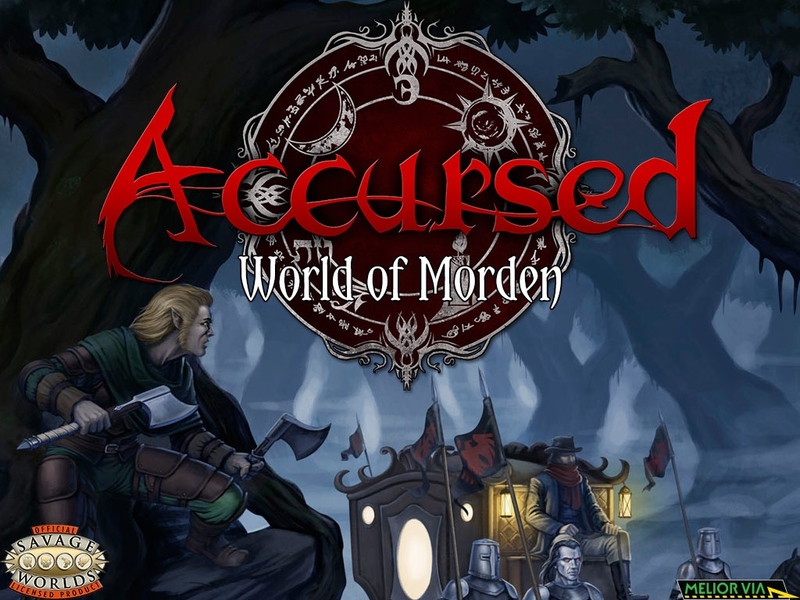 Once more we swing our way to the fantasy side of things with Accursed: World of Morden. But Accursed isn't your shining, gleaming, fancy sort of fantasy setting. No, this is a world where evil definitely has the upper hand on things. Travel is even more dangerous than usual for an RPG game, and heroes are a lot fewer and further between (but certainly are needed a lot more). The Kickstarter campaign, in particular, looks at fleshing out more of the world. Fang and Frost, whose principle writing is already finished, brings you more info about Velkenholm and Steppengrad, which are major cities in the setting. From there, further books and resource material will hopefully be unlocked via stretch goals. Speaking of which, the initial funding goal has been passed, so it's now starting to work on those stretch goals. The campaign is set to run for another 20 days.